On behalf of the RHSAA, congratulations goes out to the following schools and teams who captured medals at HOOPLA 2019 in Saskatoon on Mar. 23, 2019. Well done. Your coaches, teachers and parents are very proud of you! The R.H.S.A.A. is one of the fourteen districts. Districts are established using the fourteen public school divisions established by the Government of Saskatchewan. All schools located in the defined boundary of this division, be they public, separate, private, independent, band controlled or division scolaire francophone schools will make up each given district. 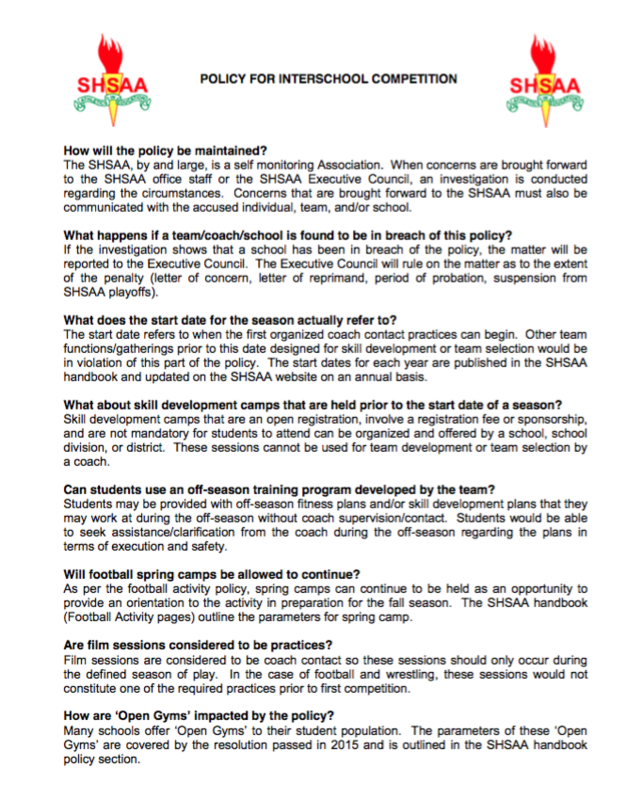 The R.H.S.A.A., through its member schools and student athletes undertakes the following activities. To celebrate to 70th anniversary of the SHSAA, the 2018 AGM Host Committee prepared a summary of all the Merit Award Winners. Take a look and find all Regina winners! As we begin a busy 2017-18 High School Sport season take some time to enjoy the power point attached below. Check out a documentary outlining the benefits of Track & Field and High School Sports! Insert your first and last name where appropriate. Click on search. Fundamentals in Coaching- For Coaches who do not have an advisor and are in their first year of Coaching. ©2019 Regina High Schools Athletic Association (SHSAA) / SportsEngine. All Rights Reserved.